The burden of respiratory illness in the world today is a drain on both patients and healthcare systems. Respiratory disorders are a major cause of death and disability for many people. The results are lost productivity, missed opportunities and extremely high healthcare costs. What are the different classes of respirators? One of the ways to help control and reduce respiratory disease is to ensure that industrial chiefs are aware of the importance of choosing the correct respirator for the job and, just as importantly, that it fits the person using it. It is vital that employees are trained in how to use Respiratory Protective Equipment (RPE) within a rigorous safety culture, which runs through organisations from the very top, and spreads throughout to every single employee. The effect of wearing RPE incorrectly can result in serious harm to the individual. Employees need initial training to ensure they understand the risks and the reasons for needing RPE, and in how to ensure their equipment fits to protect them properly. Training should be on an ongoing basis to ensure bad habits are not developed and best practise is maintained. We would recommend group training sessions as well as one on one induction training. Also, ensure topics are covered under regular health and safety meetings. Users should always check the airflow every time they use any RPE. RPE suppliers can often help with training to employees. Employers may need to conduct medical assessments to ensure their staff are physically able to perform the tasks while wearing respirators. Remember to review, maintain records and conduct ongoing risk assessments. It is important to constantly assess the workplace from a health and safety perspective. Are the hazards still at the same level? Are processes being adhered to? Are people wearing the respirators properly? Does any protective equipment need replacing? Are there any signs of wear and tear? When was training last received? How effective is the training? First things first - what is the risk? All businesses need to conduct a suitable and sufficient risk assessment to identify if there are any hazards around respiratory issues. It is important they should implement a plan to minimise the risks for people carrying out the activities, and anyone else who may be affected by the workplace activities. By doing this, the risk to occupational related lung disease and other adverse health effects will be reduced. A risk assessment is not merely a paper exercise; it is about taking sensible steps to prevent ill health. Identify and evaluate the potential respiratory hazards to people at work and people affected by workplace activities. "Employers are expected to fully understand the substances involved and assess in what ways they are harmful"
There are a high volume of hazards present in the workplace that are harmful to the respiratory system. Dusty or fume-laden air can cause lung diseases and workers commonly affected include welders, quarry workers or woodworkers. Metalworking fluids can grow bacteria and fungi, which can cause dermatitis and asthma. The agriculture and horticulture industries have risks associated with harvesting, flowers, bulbs, fruit and vegetables, while the catering industry has chemicals around hot oils and cleaning products, and Benzene in crude oil can cause leukaemia. Other hazards can come from vapours such as solvents, detergents, paints and adhesives, and gases like chlorine, carbon monoxide, and also from oxygen deficient atmospheres. In addition to the fumes are the hazards associated with liquid chemicals and skin damage; for example, when a dangerous acid is spilled onto an open area of the body. The risks can result in both immediate, short term health issues to fatalities - from conditions such as difficulty in breathing caused by fumes and dusts, through to long term, life threatening risks such as cancer caused by breathing asbestos fibres. Inhalation also provides the quickest and most direct path of entry for hazardous materials into the body. Ill health caused by the various substances used at work is preventable. It is important to understand the dangerous properties of each substance. They may be flammable; for example, solvent-based products. Other products will give off vapour or clouds of dust, which cannot easily be seen, but can explode if ignited. Employers are expected to fully understand the substances involved and assess in what ways they are harmful. There are a wide range of sources available to assess in what ways a product is harmful, but at least always check the safety data sheet from the manufacturers for more information. When assessing the tasks of individuals in the workplace it is important to understand how the substance might be harmful and how the workers might be exposed. Is it from breathing in gases, fumes, mist or dust? Other hazards which might affect the employee could include contact with the skin, swallowing, contact with the eyes and skin puncture. Once inhaled, some substances can attack the nose, throat or lungs, while others get into the body through the lungs where they can then harm other parts of the body; for example, the liver, which, due to it’s filtering role, is the target organ for many substances. Areas which employers should consider include the potential of employees working fewer hours in such a hazardous environment, and changing a product to one with fewer hazardous properties or, one with, for example, a lower evaporation rate. Additionally, we could consider improved ventilation by opening up walls with natural air, or providing fans to help circulation of air. The correct form of RPE depends on the hazards the user faces. The level of protection required is dependent on the work being carried out in different environments. The primary question is: is there sufficient oxygen to support life? If the answer is no, and we must still enter the working environment, then we have to use breathing apparatus, which in essence provides us with a supply of breathable air via either a self-contained system or a line-fed system. If there is sufficient oxygen, then we can consider a respirator, which filters out harmful substances, but relies on there being sufficient breathable air once the impurities are removed. RPE is not simply a multipurpose mask, but there is a range of different products designed for respiratory protection in various industries. Failure to provide necessary protection can cause preventable damage to workers’ health. Is it to be used in firefighting or emergencies? Is it to be used in oxygen-deficient atmospheres (less than 18% oxygen in air; some jurisdictions say below 19.5%)? What is the nature of the hazard (chemical properties, concentration in the air, warning properties)? Is there more than one contaminant (e.g. a mixture or more than one chemical is present)? Is the airborne contaminant a gas, vapour or particulate? Are the airborne levels below or above the exposure limit, or are they above levels that could be immediately dangerous to life or health? What are the health effects of the airborne contaminant (carcinogenic, potentially lethal, irritating to eyes, absorbed through the skin)? What are the characteristics of the operation or the process (e.g. hot temperature, confined space)? What activities will the worker be doing while wearing the respirator? How long will the worker need to wear the respirator? Does the selected respirator fit the worker properly? Where is the nearest safe area that has breathable air? With the above questions and, hopefully, your answers in mind, the next thing is to carefully select the appropriate respirator. ? "there are some combinations of air-line respirators and SCBAs that allow workers to work for extended periods in oxygen-deficient areas"
The two main types are air-purifying respirators (APRs) and supplied-air respirators (SARs). SARs supply filtered air via a pump in order to create any overpressure in the facepiece such that any leak, due to face movement, or daily beard stubble will be an outward leak, not inward. By comparison, breathing apparatus, typically used in oxygen deficient atmospheres, use air supplied via a compressed air tank or through an air line connected to a respiratory quality compressor. The air supplied in tanks or from compressors must meet certain standards for purity and moisture content, e.g. CSA Standard Z180.1-00 (R2010): Compressed Breathing Air and Systems. "Many accidents have been because of ill-fitting breathing apparatus, so it is therefore vitally important to ensure a good fit." There are some combinations of air-line respirators and SCBAs that allow workers to work for extended periods in oxygen-deficient areas, or where there are airborne toxic contaminants. An auxiliary or backup SCBA source allows the worker to escape with an emergency source of air if their air line source fails. There are also combination air purifying and atmosphere supplying respirators. These will offer worker protection if the supplied-air system fails. These cannot be used in oxygen-deficient areas or where the air concentration of a contaminant exceeds the IDLH level, e.g. immediately dangerous to life or health. Since filters capture particles, caution must be exercised to always check that these filters are not clogged, as it makes it harder for air to pass through and increases the likelihood of contaminated air entering the mask. A cartridge can also become ‘full’, or saturated. It will stop working and ‘breakthrough’ will occur - this term means that the gases or vapours will leak through the cartridge. Both cartridges and filters must be replaced on a regular basis by using the manufacturer’s recommendations, usually determined by using warning properties or end-of-service indicators. Now the choice of appropriate respirator has been made the next step is to ensure a good and comfortable fit. Many accidents have been because of ill-fitting breathing apparatus, so it is therefore vitally important to ensure a good fit. Workers should try on several masks and perform exercises that simulate movement in the workplace. As the worker performs these movements, a test agent is released nearby that is an irritant or has a distinct odour. If the worker cannot detect the agent through the mask, it is assumed to be a good fit. If there are any gaps or leaks around the mask, the respirator cannot do its job, so where the mask comes into contact with the skin, the seal must be tight. The assessor must also consider if the worker has facial hair or wears glasses. It could be possible that a tight seal cannot be made, allowing toxins to bypass the respirator. These details need checking to ensure complete safety. It is also important for the user to feel comfortable wearing the respirator, allowing workers to communicate freely without interference or irritation while performing physical work. Asbestos is a silent killer, used to insulate industrial and domestic premises across much of the world. Found under floorboards and in between cavity walls, if disturbed asbestos can release large amounts of fibres that if inhaled can cause serious illness. 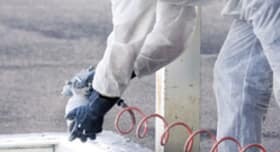 With projections of up to 250,000 asbestos-related deaths in Europe in the next 25-30 years, it is imperative that construction workers are fully aware of the dangers of asbestos, and how to protect themselves when working with it. In 2011 a survey in the UK, the British Asbestos Survey, identified that 57.3 percent of people had a good understanding of asbestos, 29.4 percent said they knew enough and 13.2 percent said they were not asbestos aware. 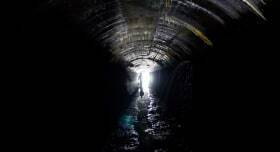 Though mining is one of the oldest occupations it still remains one of the most dangerous professions. With silicosis cases increasing from just over 1,400 in 2004 to about 1,780 in 2010, the need for respiratory equipment is essential. Silica is the basic component of sand and rock, found in such materials as concrete, granite and asphalt. From drilling to cleaning, without wearing the appropriate respiratory equipment a worker may be at risk of developing silicosis. 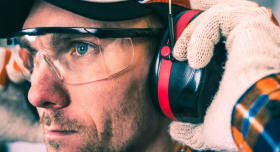 Designed to filter out harmful airborne substances, a respirator will prevent the risk of inhaling silica, allowing the worker to breathe normally and safely in a dangerous environment. Pneumoconiosis, commonly known as Black Lung, is a lung disease caused by long exposure to dust. According to figures supplied by NIOSH, (the National Institute of Occupational Safety and Health in the USA) seven percent of miners examined in the X-Ray Surveillance Programme between 2005 and 2009 who had 25 years or more experience, were diagnosed with pneumoconiosis. It is therefore vitally important that the correct form of RPE is selected as harmful contaminants can often go unnoticed, causing permanent damage. Today, petrochemicals are used in everything from medication to plastics. While these chemicals are generally safe when found in their finished products, in their raw form they can be highly toxic and highly acidic, and must be handled with care. 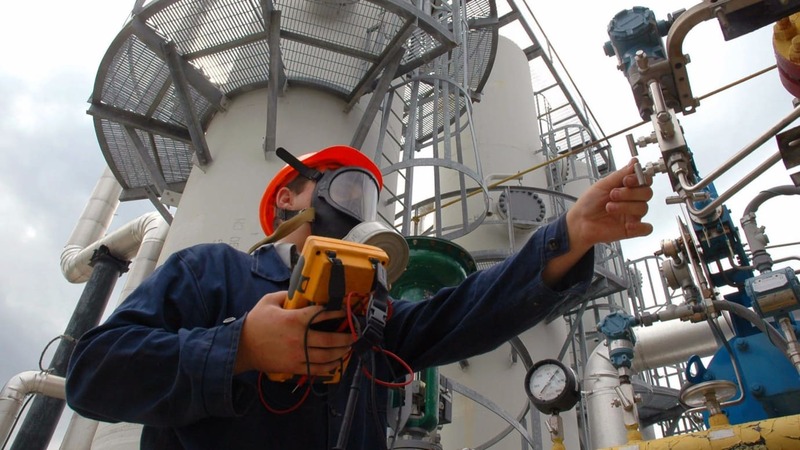 Such chemicals in the workplace can create pollution from tiny particles in the air that can enter the respiratory system in the form of mists, vapours, fumes, dust or fibres that cannot be seen, so a full respiratory assessment of hazards, personnel and respirator requirements is absolutely vital. People are prone to respiratory disease owing to many factors, including environmental conditions, genetics and lifestyle, therefore it is crucial that industry does all it can to minimise exposure to air pollutants in the workplace. This can be achieved by the correct identification of hazards and the right choice of respiratory equipment for the job. Good training in health and safety, regular risk assessments and excellent communication will help workers realise the importance of using the right Personal Protective Equipment and having the culture within their organisation to work safely. Hopefully, with this approach, we can start to improve the incident figures around respiratory disease.